The theatre (originally the Sans Pareil; “Without Compare”) was founded in 1806 by merchant John Scott and his daughter Jane, a performer and playwright. By 1809 they had started a theatre company together and performed over 50 works written by Jane. After Jane’s retirement in 1819, it was reopened as The Adelphi and became known as a venue for stage adapted works of Charles Dickens, including The Old Curiosity Shop and Nicholas Nickleby. The theatre was demolished and reopened as The New Adelphi in 1858, with improvements to the auditorium, and productions their helped established the reputations of John Lawrence Toole and Arthur Sullivan. In 1897, the actor William Terriss was murdered while entering the theatre and it is said his ghost haunts it to this day. 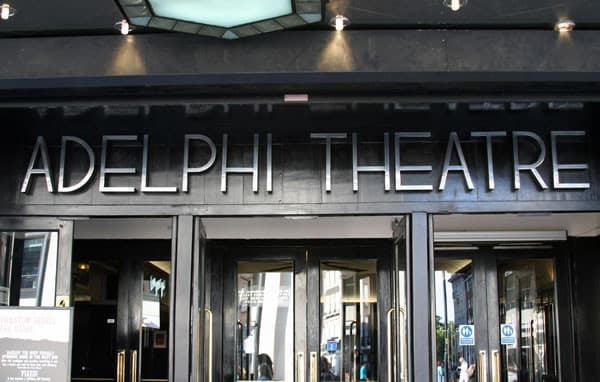 The theatre went through two more monikers (The Century in 1901, and reverting back to The Adelphi in 1904) before the present site on The Strand opened in 1930 following a full art-deco redesign and another name change (The Royal Adelphi, which would last until 1940). 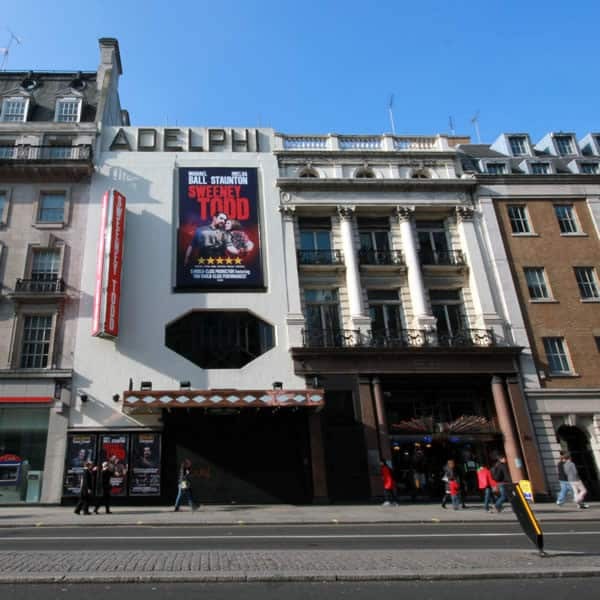 Thanks to the efforts of the Save London Theatres Campaign, the Adelphi managed to survive a proposed redevelopment of Covent Garden by the GLC in 1968, and continued to host acclaimed shows, such as the original London production of Sondheim’s A Little Night Music. 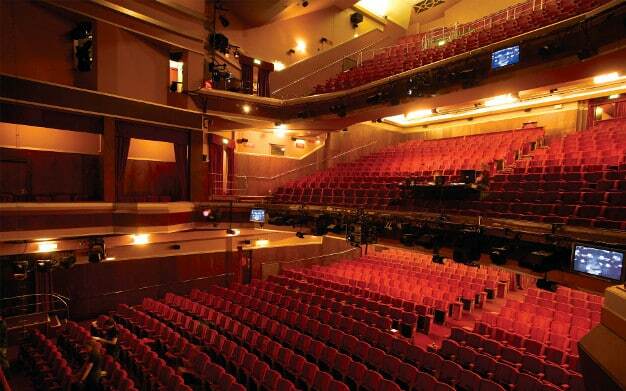 The theatre was purchased and refurbished by Andrew Lloyd Webber’s Really Useful Group in 1993, just before the opening of Sunset Boulevard. 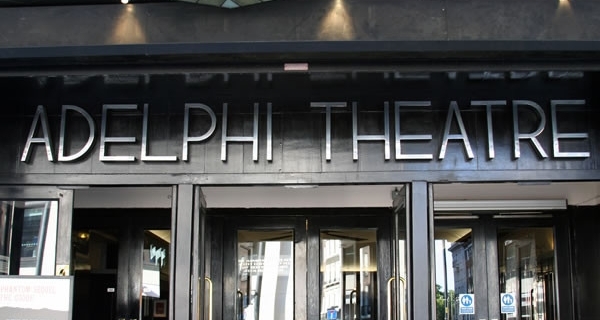 The Adelphi was the original home of Chicago which ran for over 8 years before transferring, making it the venue’s longest production. A ramp is available to assist wheelchair users into entering the theatre. Specific spaces for handicapped patrons are located at the back of the stalls. Transfer seating to any stalls aisle seat is available. An adapted toilet is located by the entrance to the stalls. There is an infrared system working through most of the auditorium (NO COVERAGE in: Stalls – from Row R to rear, Dress Circle from Row J to rear and Upper Circle from Row F to rear) with both loop and conventional headsets.